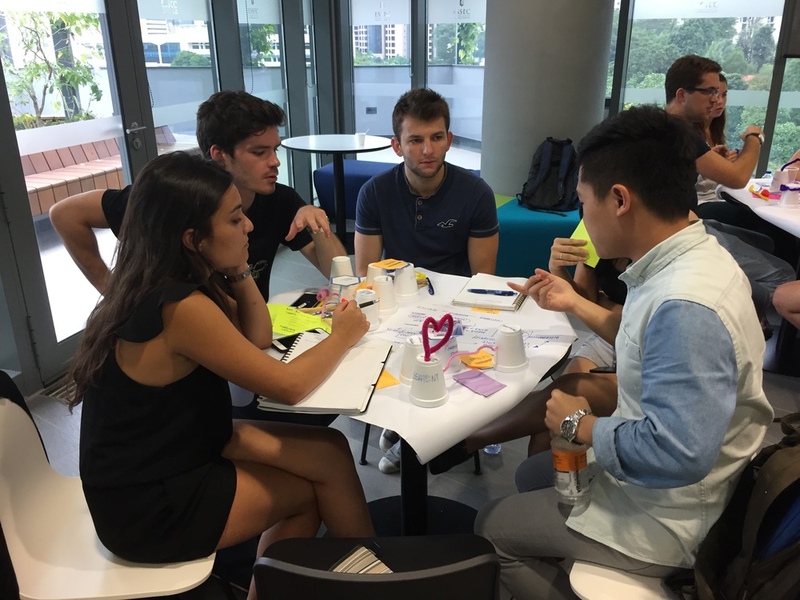 The ESSEC-NUS Innovation & Design Week was held from 21-25 September 2015. 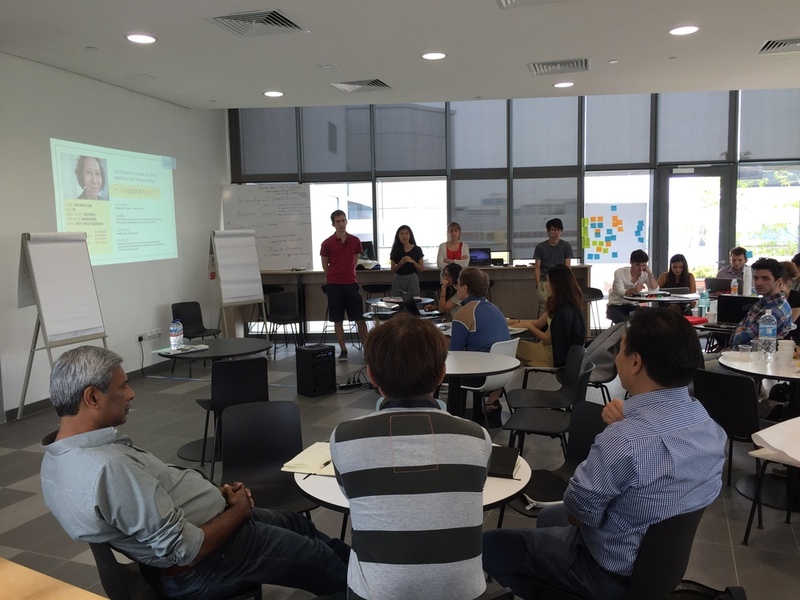 Students from the Advanced Master in Strategy and Management in International Business as well as students from the Division of Industrial Design, School of Design and Environment at the National University of Singapore worked on the topic of “Smart Nation” throughout the week, coming up with ideas for products or services which would bring improvements to the lives of people in Singapore. 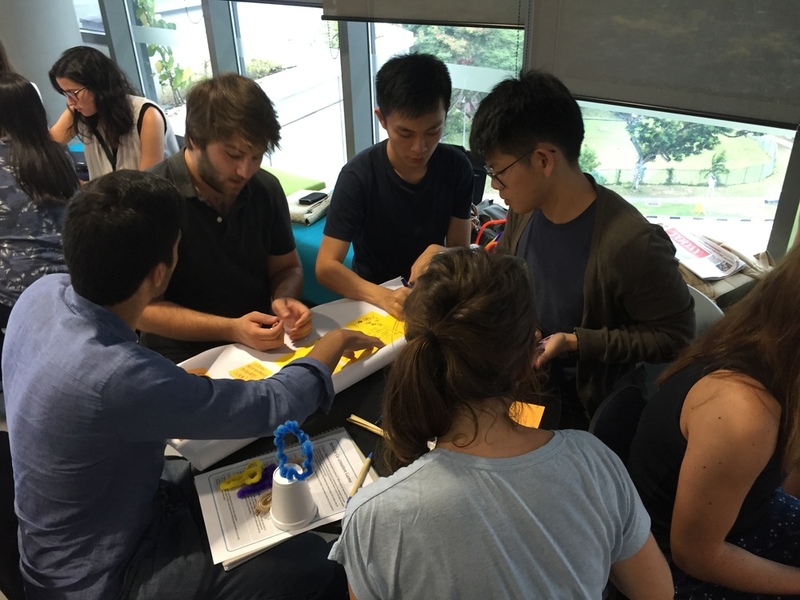 The concept and line-up of activities for the week was designed by Dr. Jung-Joo Lee, Assistant Professor at the Division of Industrial Design, School of Design & Environment at the National University of Singapore, who mentored the students together with Prof. Hervé Mathe, Professor of Innovation and Strategy at ESSEC Business School, throughout the week. The week was launched by Prof. Lee, Prof. Mathe and Prof. Kevyn Yong, Academic Dean of ESSEC Asia-Pacific. Prof. Yong introduced the recently-established partnership between ESSEC Business School and the Action Community for Entrepreneurship (ACE), and set the stage for the week by outlining Singapore’s vision to become the 1st Smart Nation in the world. He explained that the Smart Nation initiative aims to improve lives, create more opportunities and build stronger communities within Singapore. The week was concluded with a presentation to the jury, including Mr. Ramakrishna Purushotaman, Strategic Advisor at CIO Academy Asia and Director at the Infocomm Development Authority of Singapore (IDA), Dr. Alex Lin, Head of Infocomm Investments, the private venture capital arm of the Infocomm Development Authority of Singapore, and Prof. Kevyn Yong, Academic Dean of ESSEC Asia-Pacific, who shared their suggestions and feedback regarding the ideas and business plans by the various teams. These included suggestions such as ensuring that the infrastructure would be able to support these plans, and being able to find partnerships to further improve and realize their ideas. The jury also agreed that many great ideas and opportunities were formulated, and they hoped that this experience would allow the students to have a better idea of the feasibility of their ideas. Winning teams for the week were: Kampong, Smart Art City as well as Smart Bottle. Hassan Lahlou, Agnes Mikita and Xaviere Becuwe from the Advanced Master in Strategy and Management of International Business at ESSEC agreed that the week “was a very enjoyable experience with the students from the Division of Industrial Design. 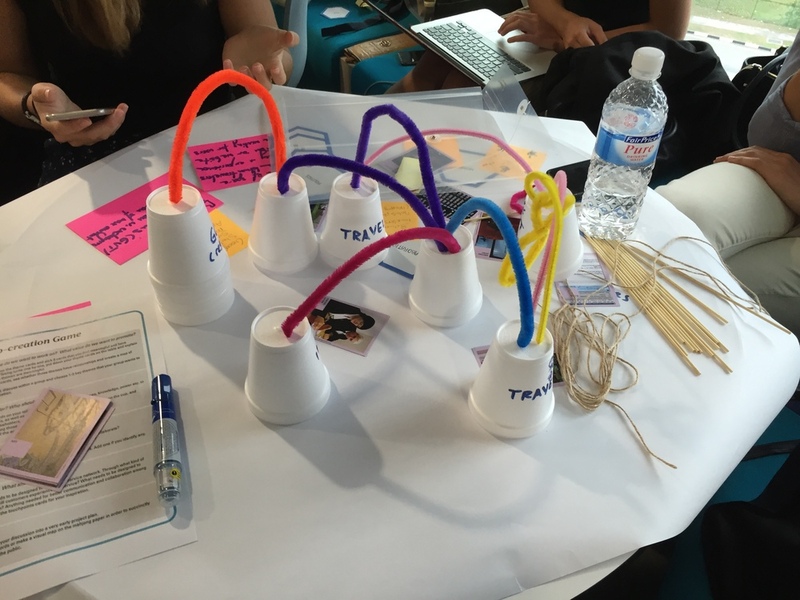 Through the week, we were able to make our ideas more concrete by designing prototypes in different ways.” Through this experience, they learnt to be able to match the visions of different group members and realize their ideas to create something which could potentially be implemented. Xaviere Becuwe added that it is important to have an open mind when you start the week, to not be afraid of trying out ideas that may deviate greatly from your original background, and to be willing to listen and take an active part in the project. 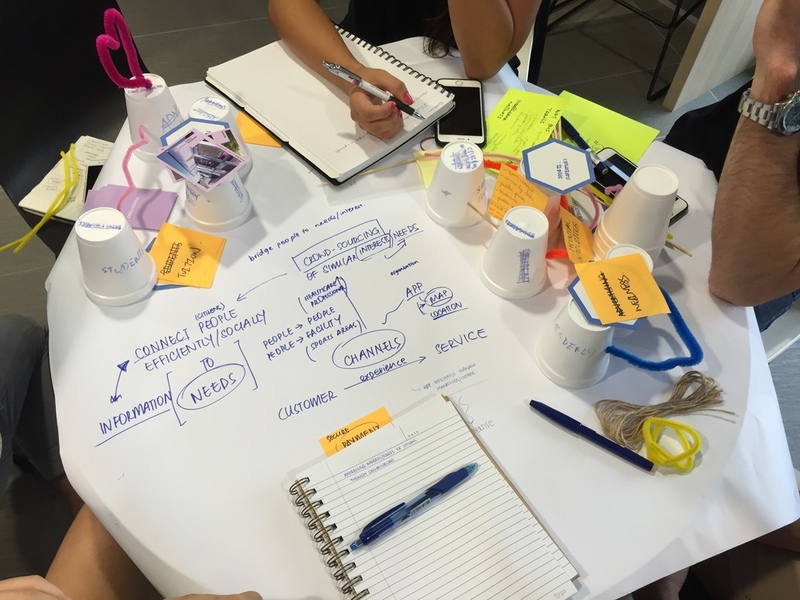 View the original post here: http://www.essec.edu/en/news/essec-nus-innovation-design-week-21-25-september-2015/.